Modern artists surrealism digital and fine arts Schroedinger Cat and Love | Fine Art | Contemporary Artwork, buy fine art prints giclee posters online. 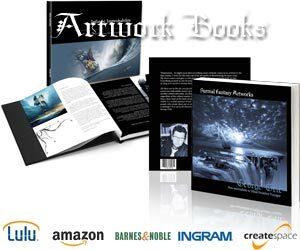 description: Works by Rick Berry can be found in gallery exhibitions, art annuals, and featured in anthologies on the history of fantastic art. This picture of he woman withher cat is one of his most favourite works.